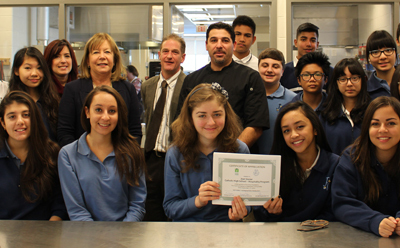 Representatives from the York Purchasing Co-Operative (YPC) recently expressed their gratitude to Jean Vanier Catholic High School’s Hospitality Department and Hospitality students for their assistance in preparing food for the YPC Annual BBQ held in September at York Regional Police headquarters. 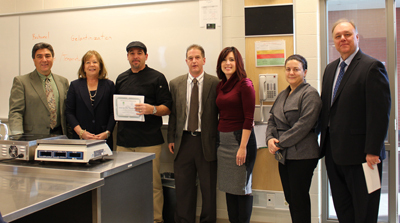 YCDSB’s Director of Education, Patricia Preston, and Superintendent, Ron Crocco joined YPC Chair, Chris Hasson and Vice-Chair, Tracy Assis in presenting certificates to Jean Vanier Principal, Frank Dalla Corta; Hospitality Teacher, Frank Nardi and Tech/Business Department Head, Carol Baptista. 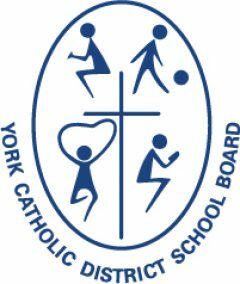 The York Purchasing Co-Operative (YPC) is made up of 16 public agencies in The Regional Municipality of York. The co-operative helps foster the effective management of common procurement activities of its member agencies.